This entry was posted on May 23, 2011 by egorsky. It was filed under Only in..., The US, You eat what!? . don’t be hatin’ on the bacon! Apparently only the first few bites taste like bacon, and the rest just taste like ice cream. American bacon is without doubt the worst in the world! that’s why they eat ham and eggs there, not eggs and bacon – the ham is fine,but the only decent ‘bacon’ you can get which is anything at all like ‘the real thing’, ie what we eat in Australia, is what they call ‘Canadian bacon’ – in my opinion anyway! 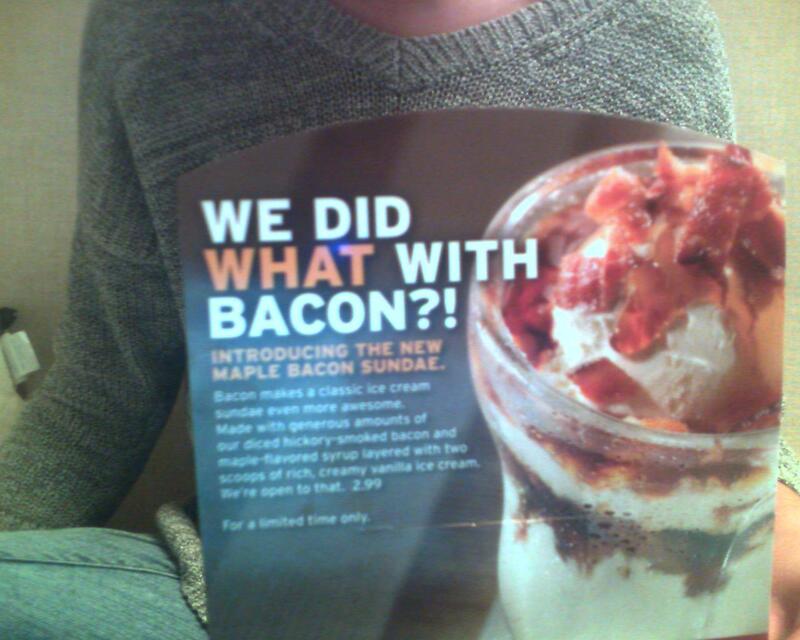 But now I see where I went wrong – if I had served the so-called bacon with ice cream, maybe it would have been edible!